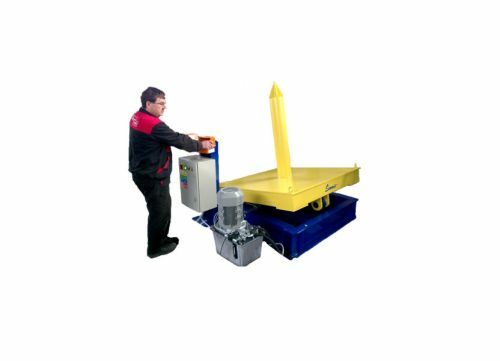 The tipper is used to tilt the empty wire coil cage to a horizontal position. Then the wire coil is attached on the cage and tilted back to the vertical position. For coil handling, a forklift is used.